Ping has announced the launch of the new i25 and Karsten golf club ranges, which feature everything from putters and wedges to irons and drivers. 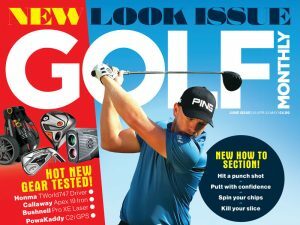 The new ranges – which can be pre-ordered now and are available in store from February 14 – are designed to deliver big distance gains and provide increased forgiveness and consistency for golfers of all abilities. Ping’s new i25 range is comprised of adjustable drivers and fairway woods, hybrids and irons. The i25 driver and fairway woods come with subtle racing stripes on the crown – the same width as the ball – which help with consistency and clubhead orientation. Ping’s i25 irons feature progressive head design and sole widths to deliver high trajectory and increased forgiveness, while the i25 hybrid is engineered for shot making and control. paired with sole designs that offer a deep centre of gravity. Ping’s new i25 and Karsten ranges are rounded off with a family of Karsten TR (True Roll) putters with variable depth grooves to aid distance control. “Our constant push for innovation continues to inspire technologies that help every type of golfer play better,” said John A. Solheim, Ping Chairman and CEO. Below, we’ve listed all the information on the Ping i25 and Karsten ranges, from video reviews to galleries and full product information.